This 2018 DeMarini CF Zen Senior League Baseball Bat (WTDXCBR) is, yet again, a top performance in the class of youth big barrel bats. It features a standard 2 5/8-inch barrel diameter, a drop 8 length to weight ratio, and the USSSA 1.15 BPF certification stamp. Keep in mind that DeMarini is backing each model with a full twelve (12) month manufacturer's warranty so that you can swing with confidence. Get one of these DeMarini baseball bats today with free shipping and remember, we're here for you from click to hit! Pros: Good pop, but what good is that if the bat cracks in 3 weeks? Cons: Bat cracked in less than 3 weeks!!! I called DeMarini about the warranty claim - and was put on hold for 1 hour and 21 minutes. The customer no-service rep chuckled when I told him the bat broke that soon. I asked for a refund instead of replacement because I believe another CF Zen would break just as quickly. No refund, of course. My 13 year-old hard hitting son wants a different brand of bat. Pros: Insane pop. It wouldn't surprise me if this bat becomes illegal like last years because of how fast the ball comes off the barrel. My son took this bat out of the box and hit a home run with it the same day without breaking it in. Cons: Price. I swear bats get more expensive every year. Cons: Bat cracked in 2 weeks... Demarini has poor customer service. Pros: it has very good pop and i hit a home run the first time i took it out of the box. 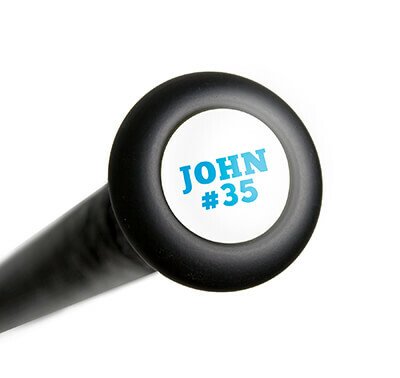 Pros: Nice feel, nice pop, great bat design. My Son loves this bat, he already has a great swing but now the ball travels even further. Cons: WAY TOO MUCH MONEY FOR OVER RATED PRODUCT. Fragile , break easy not durable. Do not buy this bat!!!!!! Pros: The bat has great pop out of the wrapper and has a huge sweet spot. Have a question about the 2018 DeMarini CF Zen -8 Senior League Baseball Bat: WTDXCBR? Ask our team of experts and they will respond within 24 hours. Is this bat legal for Pony Baseball League 13/14U division? Pony Baseball will require USA certified bats, so the 2018 DeMarini CF Zen -8 Senior League Baseball Bat: WTDXCBR will not be legal. 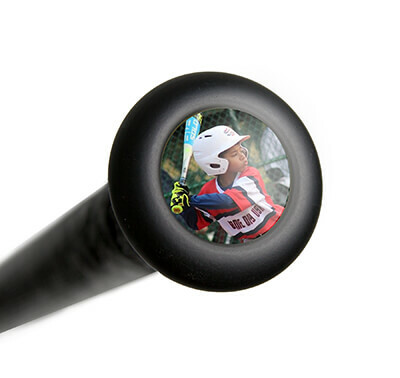 Will this bat be legal for the USSSA 13U division? This 2018 DeMarini CF Zen -8 Senior League Baseball Bat (WTDXCBR) will be legal for use in 13U USSSA play in 2018. However, it would not be allowed for 14U USSSA play once 2018 begins. Is the 2018 DeMarini CF Zen -8 Senior League Baseball Bat (WTDXCBR) legal for use in 12U USSSA play in 2018. Yes, the 2018 DeMarini CF Zen -8 Senior League Baseball Bat (WTDXCBR) will be legal for play in 2018 for USSSA play. Is this bat legal for a normal 14U game (not travel) in JTAA? Since it appears that the Jupiter Tequesta Athletic Association operates under Babe Ruth Rules for 14U Baseball, I would say that this 2018 DeMarini CF Zen -8 Senior League Baseball Bat (WTDXCBR) will not be legal for use once 2018 play begins. In 2018, the 14U division will most likely be required to use bats that will feature the new USABat Standard. Do you happen to know the reason as to why they haven't released a drop 5 CF Zen yet? At this time we are not aware of any plans by DeMarini to release a new CF Zen model. As it stands currently, the 2018 DeMarini CF Zen -8 Senior League Baseball Bat: WTDXCBR will be the heaviest model on the market that is not a BBCOR bat with regards to the CF Zen lineup. When might the 31" 23 oz be back in stock? It looks like we won't have the 2018 DeMarini CF Zen -8 Senior League Baseball Bat: WTDXCBR in that size back in stock until after the 25th of September. Where is the CF Zen that is USA Bat approved? UFX-18 is the model. We do not carry the 2018 DeMarini CF Zen -8 Senior League Baseball Bat: WTDXCBR USA model, I believe they will be coming out soon. Will DeMarini be having a -10 USSSA bat in 2 5/8 this year or is -8 the lightest? The 2018 DeMarini CF Zen -8 Senior League Baseball Bat: WTDXCBR features a 2 5/8" barrel diameter. Unfortunately the 2018 model of the CF Zen in the -10 length to weight ratio will only be made in the 2 3/4" barrel diameter. What is the difference berween the 2017 and 2018 models? The main difference is that the 2018 DeMarini CF Zen -8 Senior League Baseball Bat: WTDXCBR feature a 3-Fusion End Cap and a 3-Fusion handle. These features will make the bat more evenly balanced and will reduce vibrations in comparison to the 2017 model. Is there a bat that compares to the DeMarini Zen? My 13 yr old has broken 2 Zen"s in 1 year a -8 and -5. I can"t keep buying bats that break in a few months. Now I"m needing 2 bats for my 2 sons one -3 and one -8. Any help would be great. The downfall to composite bats are that they tend to have the ability to break. I would recommend looking into the 2018 DeMarini Voodoo One BBCOR Baseball Bat (WTDXVOC) for your -3 son because the fully aluminum structure should negate the problem you are currently having with bats breaking. What's the difference between the DeMarini CF Zen -10 and the Easton Ghost X -10? Both bats are two-piece, composite designs. Both bats also claim to offer a very large sweet spot, good vibration dampening and good balance. It mostly comes down to personal preference on which brand or model you prefer, as both are excellent performing models. When will you have the 2019 DeMarini Zen bats available? I have found on other sites. We hope to have the replacement to the 2018 DeMarini CF Zen -8 Senior League Baseball Bat: WTDXCBR sometime around 4/20, if not sooner. What is 24oz is it drop 8 or drop 5? The 2018 DeMarini CF Zen -8 Senior League Baseball Bat: WTDXCBR features a -8 design.